Let’s all get together again, chat and network. 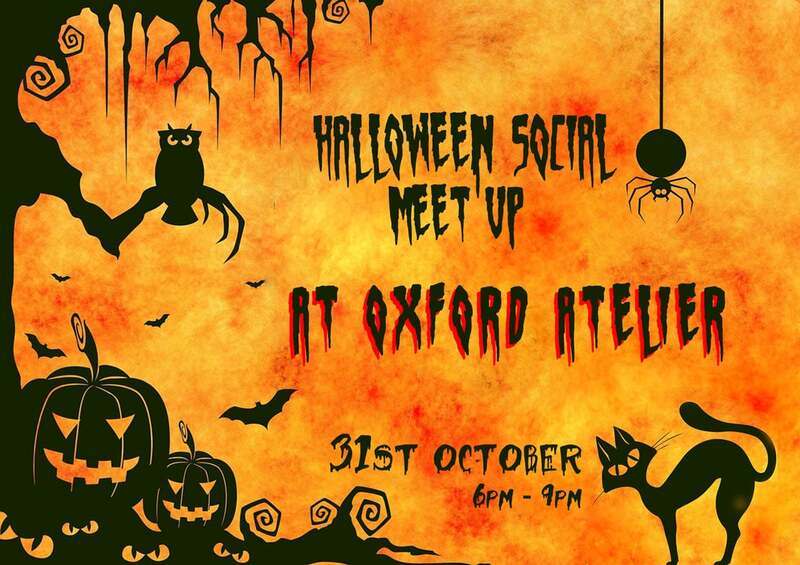 You are all invited to Oxford Atelier’s Halloween Open Studio Evening – Gels and smoke machine are ready for the spooky evening. Please drop by anytime, the invitation is open to everyone interested in photography and we would love to see as many of you as possible. We are very lucky to have 2 beautiful models who have kindly volunteered their time for the evening, amazing make up artist and hair stylists on board. It’s all free, we only ask you to contribute £5 towards the expenses. We will for sure ensure you are stocked up with light refreshments and nibbles but if you fancy something stronger please bring a bottle of beer. Come along and try the facilities, and get some photos for your portfolio (all TF basis, give the models, MUA and hair stylists copies of the photos too). The cost is just £5 per person, to contribute towards make up expenses. Advance booking essential. Date: Wednesday 31st October Time: 6pm – 9pm The cost is just £5 per person to contribute towards the make up expenses. Advance booking essential. Refreshments and light snacks with be provided throughout the session.